Printed Online filled application form along with paid deposit challan must be received at NTS Headquarter not later than 04-December-2017. After successful submission of application form, Application Form will be displayed. 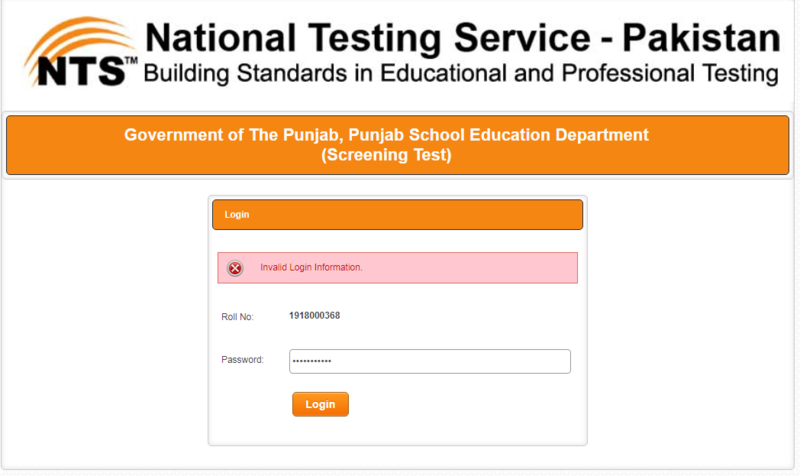 Print the Application Form and deposit fee in any branch of ABL, MCB, HBL or MBL and send Application Form with Original Deposit Slip (NTS Copy) to: (PSED Project) National Testing Servic , Plot # 96, Street # 4, H-8/1, Islamabad. Dear Sister, please send me your documents or form at my mail ID., I will set them. Don’t worry! Dear Sister, please change the date by hand on your forms otherwise send your form to me by email. I will make them correct then you can send to NTS. [email protected] it is my id. same problem underage plz solve it ..
dear bro, nothing could be done with ur this id, for your problem please call NTS helpline taking number from its website and do what they say. Dear sister, don’t worry, just submit your form. but if you still not satisfied then send me your forms, I will change this thing. if I correct it on form by hand and online form will be as such, will any issue be there..?? No, so just do it and send it, but if you are not govt employee or working as a private job then even you don’t need to change any thing. Well_Come & Best of Luck my sweet sister, Allah pak apko kamyab kray. pyary bhai agr form generate nhi ho rha or os page pe ager date ka overage ya underage likha aa rha hy tu fer tu ap aj wait karo, kal esi wqt osi page contact pe click kro fer wahan contact number ay ga os pe cal kr ky btao sara case. fer wo jo response krain wese hi krain ya muje msg kr dena. agr form generate ho jata tu fer hum khud hi change kr lety magr ab unki helpline pe cal krna hi wahid solution hy. aj sunday hy call nhi ho g ap kal try krain. Allah pak apki preshan jald hal farmay ga, ap preshan na hon. data form tw hai.apply ni ho skta due to dob. data dorm generate ho gea hai with wrong date of birth.apply ni orha.udr ata hai you cannot apply due to underage.ub? in your case there is only one solution, call the NTS helpline number they guide you to send them FAX or MAIL, so then you will make your form typing all details on it and send or fax to NTS given number whatever number they will give you when you call them. Please call them in working hours from 8.30 to 4pm. also tell me that i want to apply for more than one post, but there was only one form, and name of post was not mentioned, what is this???? plzzz help me what should i do??? If u Govt. Employ in that case u should have write yes otherwise no if u do private job. I think there is no problem in that case. While are sent documents of degrees yet. Sure you can edit it in PDF file before taking print. then you can post it. but if you cannot edit yourself or make it correct then send me I will make it then you can send. sir BS waly textbox mn number ki jga kia likhna hai GPA??? mere sath bhi same yei hi issue ho rha please koi to guide kr do. m ny form fill nh kea sirf registration ke thy…mujy password bhol gea ab form he open nh ho raha…kindly help??? plz koi solution hy to btaye???? Aos Sir Nadeem , I have submitted my online form and there is a mistake in my postal address and i m not able to correct it online again. is there any way to correct it. Pyary bhai Arsalan, ye masla coding se hal nhi hota. jiss ki waja se na to form download ya print hony k lye mill saky na ab edit ho raha. hey arslan…can you plz guide me? can B.Sc Enginner in Telecommunication can apply for these posts ? apply nai ho raha server not found likh k aa raha ab kesy apply krain gy???????? profile editing ka option ni hy???? Aoa. 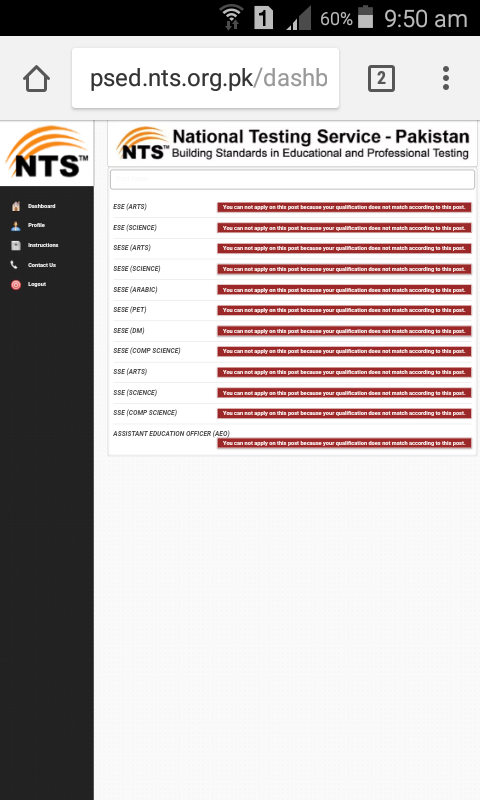 Can anyone tell me how can i reset my nts login password as i can’t view result card data.